Plus, details on an upcoming update. 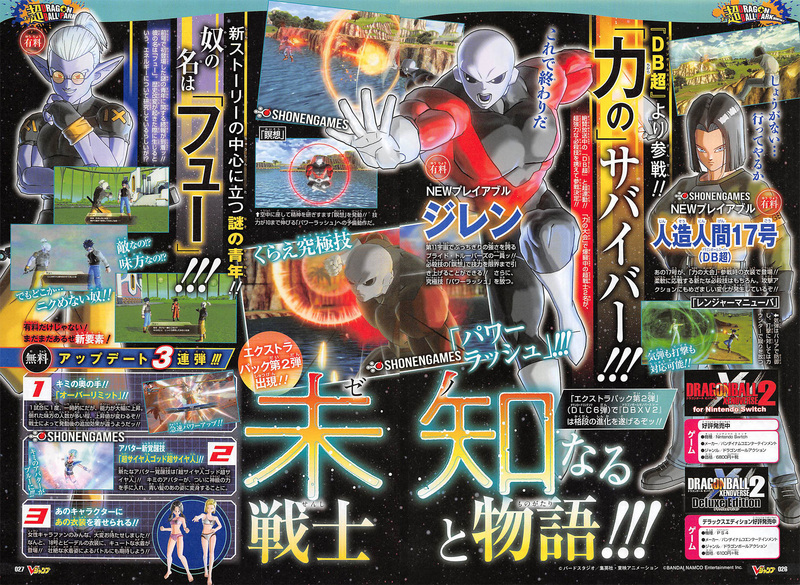 Jiren and the Dragon Ball Super version of Android 17 will join the previously announced Fu as new playable characters included in the upcoming “Extra Pack 2” add-on for Dragon Ball Xenoverse 2, the latest issue of V-Jump reveals. “Overlimit” – A skill that can be used once per match and temporarily, but significantly increases your abilities. As the amount of enemies you defeated increases, its rise value will also increase. Additional effects after triggering Overlimit seem to differ based on the warrior. New Avatar Awakening Skill: “Super Saiyan God Super Saiyan” – The player avatar will finally get God-class power and be able to transform into a blue-haired Super Saiyan God Super Saiyan. Swimsuit Costumes – Fight with Android 18 and Videl while wearing cute swimsuits. Dragon Ball Xenoverse 2 is available now for PlayStation 4, Xbox One, Switch, and PC.